I am still trying to contemplate what just happened to Paul. A young girl, by the name of Lea, just picked up Paul and chewed on him for a few moments, allowing the girl to experience the sensation of worn out gum and Paul’s slimy skin. She spat him out in her hand, throwing him on the ground. 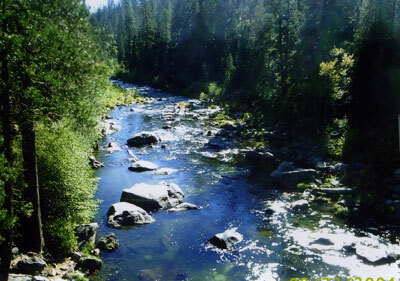 Poor Paul was able to make it to the Tuskehawnee River, where he would meet his end. Paul slithered toward the brackish scent that he thought to be sanctuary, but sanctuary was not what he found. Instead, a questionable man came crashing down on Paul. He let out a weak whimper before being released from his misery. Poor, poor Paul. If only life could have allowed him a few more days, he could have been saved. I must go off to mourn Paul’s death with his twin, Raul. I have finally returned from Paul’s funeral with Raul. I have much sympathy for Raul, especially since Paul was his twin brother. Raul has been showing awful signs of depression since the funeral. I am aware that the funeral was only a couple of hours ago, but that only means that he was depressed almost immediately. Raul hardly wants to eat and rarely comes out of his hole. Sometimes, I can hear weak sobs when I squirm past his hole. His girlfriend, Terri the Snail, has been worried sick about him. She visits him everyday to make sure that he stays intact, both mentally and physically. Terri has reported to me that Raul has lost his lovely rose scent that made her smile on gloomy days. I am almost positive that Paul is in snail heaven. He was an obnoxiously wonderful slug, constantly giving to the greater good. I don’t think I have ever met such a wonderful slug. He should have lasted longer. Why would that questionable man even be jumping into the Tuskehawnee? There isn’t a human civilization anywhere near here. Just the snail capital, Brandish Forest, and a couple of minor cities. Why, my dearest Paul, why? I wonder why Raul still hasn’t come out of his hole… He is acting almost… guilty. Like it was his fault that Paul is dead. But he is not like an evil-criminal-mastermind-type guilty all the time, more like the I’ m-so-ashamed-type guilty. It’s kind of alternating, though. He will be sad and then, all the sudden, turn into a maliciously guilty demon. He shuts himself from the rest of the world. When I slither past Raul’s hole, I can hear him murmuring, like how a shy person talks to someone new. What if Raul is not in his hole alone? There have been rumors going around town that Paul did not die, he only temporarily disappeared. But who knows, snail brains have the capacity of a pin point. Raul said that he slithered as quickly as he could back to Brandish Forest and told us the story. Or so he told us… what if Raul is guilty? What if Raul is the one we should be pointing our fingers at and not a random unknown questionable man? I know this is a horrible thing to say, but Raul has been acting more and more suspicious. Everyone around town has been acting very secretive. All the once vibrant townsfolk have locked themselves up in their holes. I never thought the loss of a single slug would impact a town so much. If Paul is alive, then I must find him. He was the heart and soul of this town, and it seems as though it won’t survive without him. I will be off to find Paul, in order to save him and our quant capital, Brandish Forest. I have recently spoke to Raul, questioning him and his whereabouts on the day of Paul’s disappearance. Paul will be found no matter what. After questioning Raul, my suspicions have risen immensely. Paul went missing on Sunday, April 14, 1897 at 6:59 a.m. I have asked three people around town who seemed suspicious about what they were doing, also known as their alibis. Raul, a housekeeper at the Spherical Mathematical Academy for Slug Boys and Paul’s twin, said he headed towards the Tuskehawnee River to gather the mail directly from the post office. He stated that he returned to Brandish Forest at a quick pace to report what he saw to officials, later returning to the Spherical Mathematical Academy for Slug Boys to sweep the cobwebs out of the corners of the university. Mrs. Norris, the grocery store manager, said that she arrived at work early to stock the shelves with leaves. She said that after work, she returned home and began to prepare dinner for herself and rock out to her favorite jams. Charles, also a housekeeper at the Spherical Mathematical Academy for Slug Boys, said that he was helping Raul clean out the corners of the university, in search of cobwebs. My suspicions have risen. I have cracked the code! It was not just one master criminal, it was the work of two partners in crime! It was none other than Raul and Charles. Their alibis never added up. The postal service isn’t open on Sunday. The Spherical Mathematical Academy for Slug Boys has no corners, it’s a sphere! They will be questioned by officials tomorrow. I have located Paul, with the use of Raul’s master criminal plans. He was able to slip into a small cave, or so I hope, under the Tuskehawnee before he “let out his last breath.” Paul is hopefully safe and sound. He is currently being rescued by officials. Raul and Charles have been questioned by officials. Raul had pressured Charles into taking part in the murder of Paul. Lucky for Paul, he made it out of the situation breathing. Raul had hired an army of “stunt snails” to be “Teddy Roosevelt.” Who in the world is “Teddy Roosevelt,” and their “person” did not look human at all! The were tasked to smother Paul. Instead, they ended up smothering each other. Paul has returned and the whole town is vibrant once more. Raul and Charles have been convicted of attempted manslaughter and sentenced to life in prison. It seems things will always be interesting in Brandish Forest…… The End! For now. This piece is a suspenseful, humorous mystery about a slug and the disappearance of his twin. I meant for this to show that sometimes, plans just fall through!